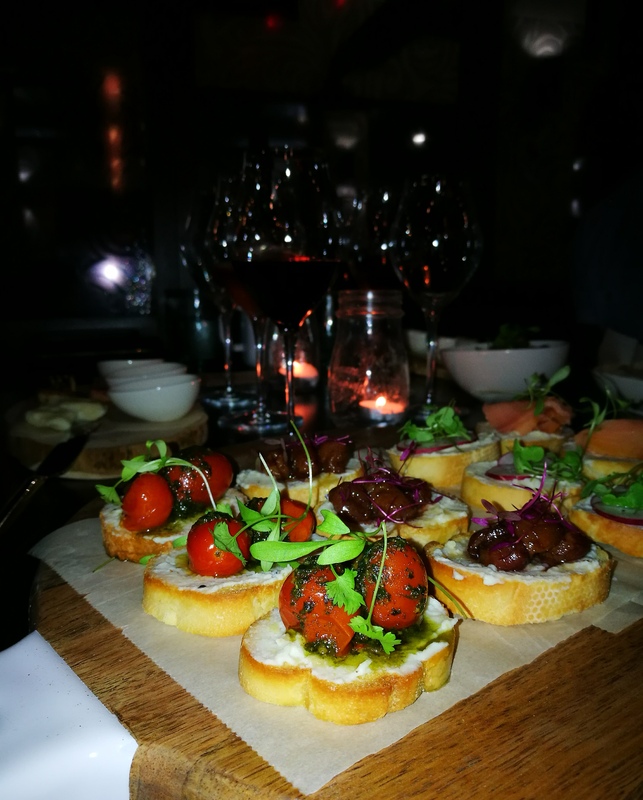 Specialising in Old World wines and small plates, TASTE VINOTECA is the brainchild of Lisa Johnstone, a local and regional restaurant industry professional. Johnstone brings her considerable restaurant expertise to the table with at TASTE VINOTECA with a small plates menu featuring dishes like a Shrimp with Beurre Blanc, Ricotta Crostini Bar, Brandy Kissed Caramelized Apple & Pear with Baked Brie, and Asparagus with Prosciutto & Pepperjack Cheese. Don’t miss the Wine Flight, which on our last visit was a white (Charles Baeur Pinot Blanc Alsace), rosé (Leone de Castris Five Roses Salento), and red wine (Mazzei Zisola Nero D’Avola) paired respectively with a Camembert & Rosemary Honey, Seared Shrimp with Vanilla Beurre Blanc, and Gorgonzola Gnocchi. Also, on the required eating list is the Ricotta Crostini Bar basically brilliant bites like roasted grapes with balsamic vinegar, radish and sea salt; brie with honey; smoked salmon and dill; and cherry tomatoes with basil pesto. Hours: Monday to Saturday, from 6pm. Sunday brunch on the the first Sunday of month. Tags: One Woodbrook Place Restaurants, Trinidad Restaurant Guide. Bookmark the permalink. I am interested in the prep cook position. Please email me more information. Please contact the restaurant directly for more details.